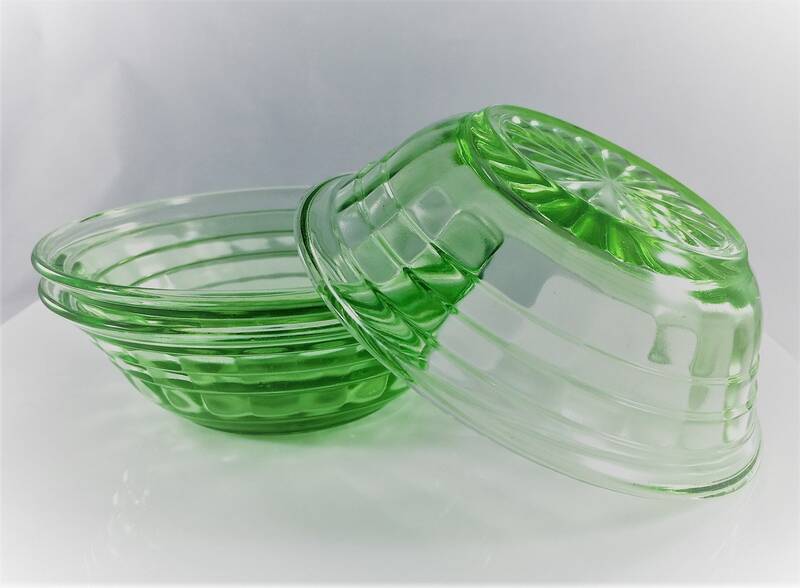 Featured is a set of 3 small green glass bowls from Hocking Glass. 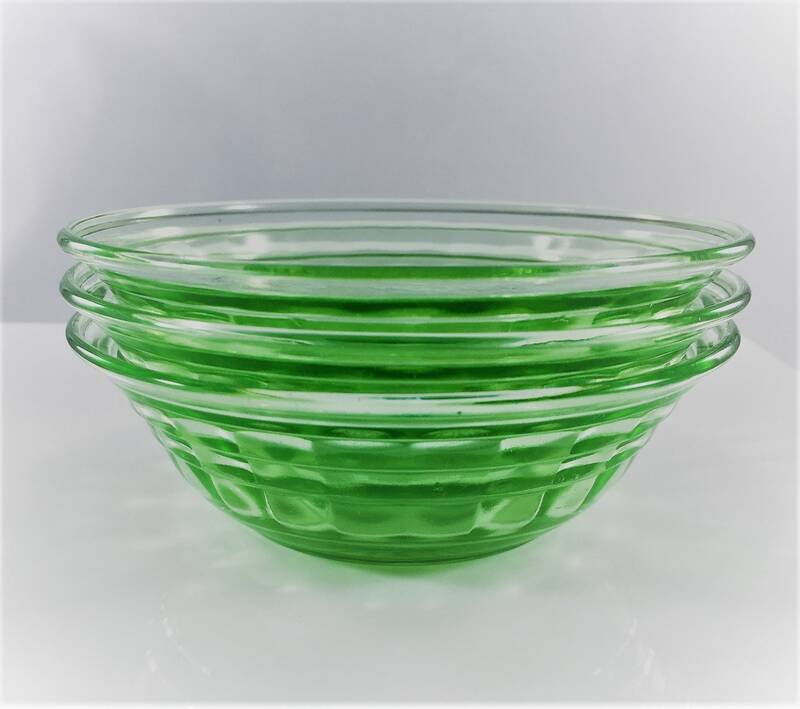 These Depression Era pieces are in their Block Optic Pattern which was produced from 1929-33. 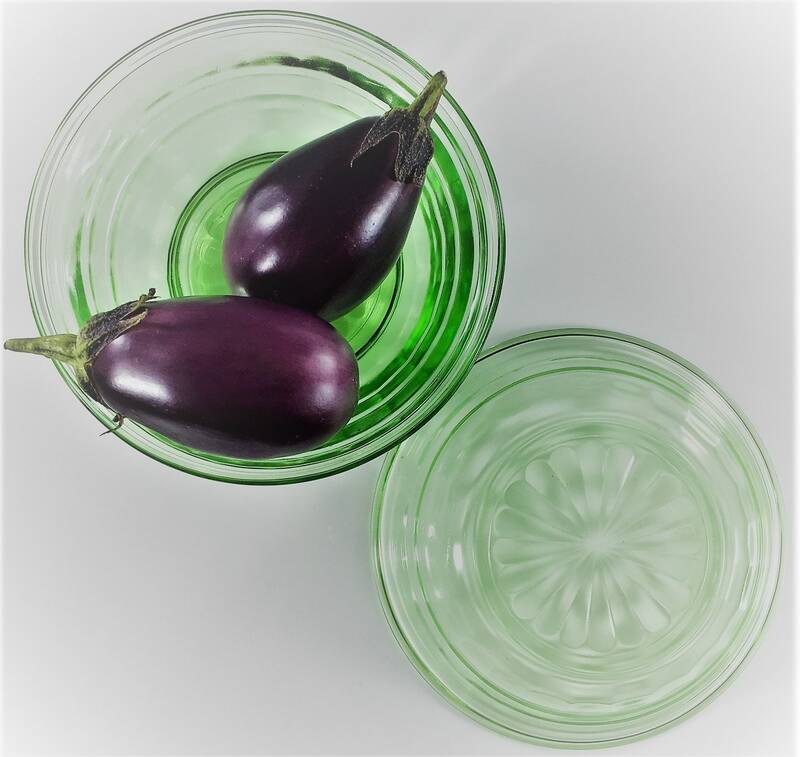 These bowls measure 4 1/4 inches in diameter and are 1 3/8 inches deep. 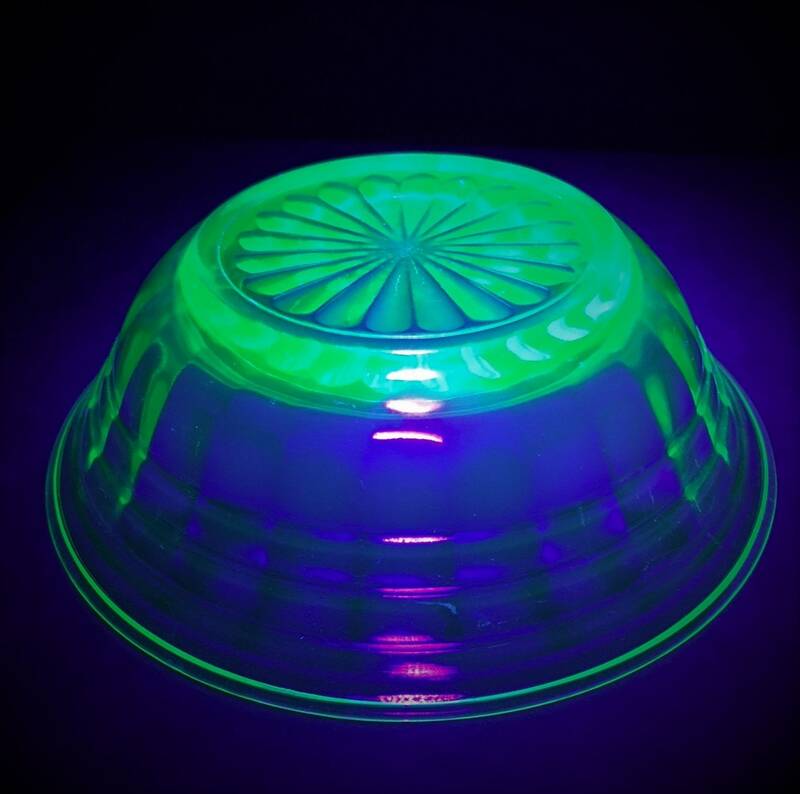 They are uranium glass so they have a wonderful glow under UV light (see photos). All three pieces are in excellent condition, free from any chips or cracks. 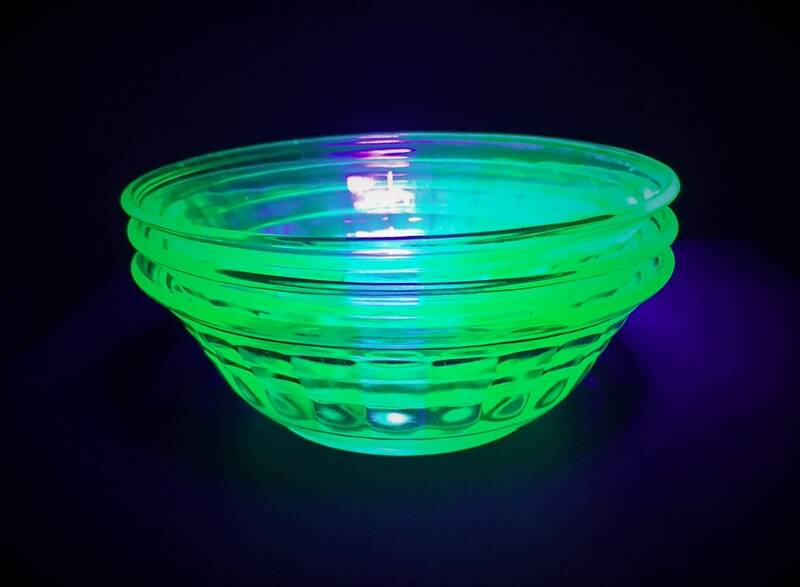 All 3 bowls for one low price. 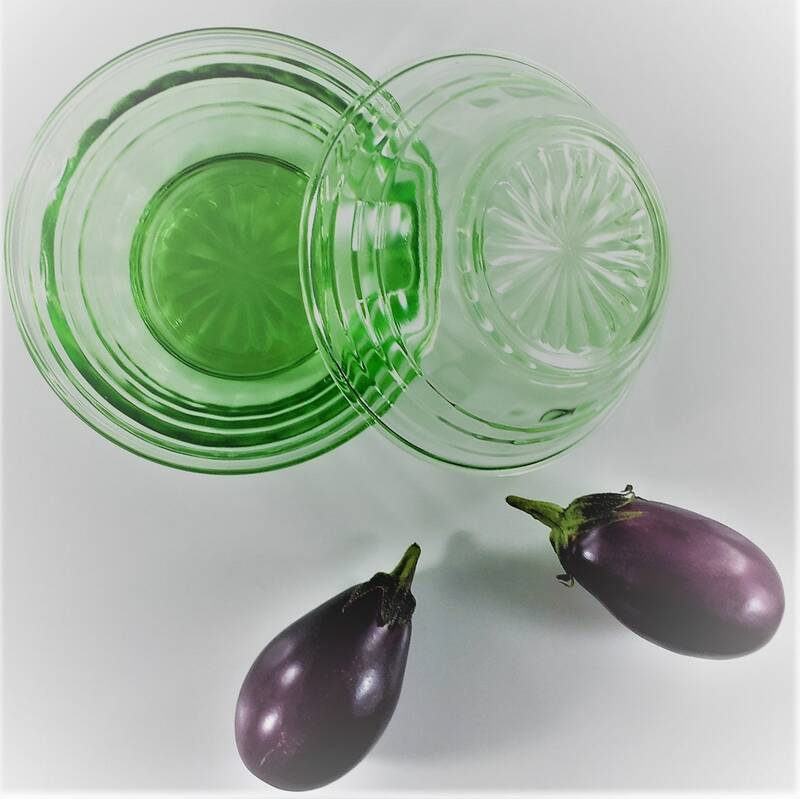 Note - mini egg plants not included!